Tired of forking over large amounts of money for fancy-pants lotions, creams, hair care products, and perfumes? Want to get rid of your cupboard of chemical cocktails disguised as deodorants and toothpaste? In Beauty Gone Wild! 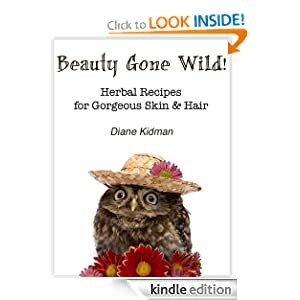 (Volume II of the Herbs Gone Wild! Series) you'll learn how to save a ton of money while avoiding harmful ingredients by making your own herb-basedbeauty care products. The instructions are easy, the ingredients pure and natural. The best part? It's fun. And the results are phenomenal. The moisturizing cream recipe alone is worth the read! 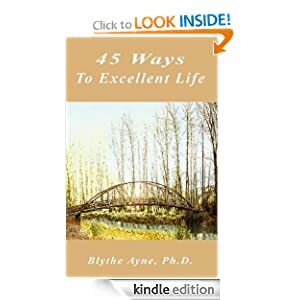 45 Ways to Excellent Life by Blythe Ayne, Ph.D.
45 Ways to Excellent Life, with illustrations, contains 45 "action" meditations. One reviewer noted, "45 Ways to Excellent Life lets me pick a specific detail to contemplate, and helps me pay attention to the world around me." Whether you've never meditated or are a veteran, you'll find 45 Ways to Excellent Life a lovely addition to your quiet time. 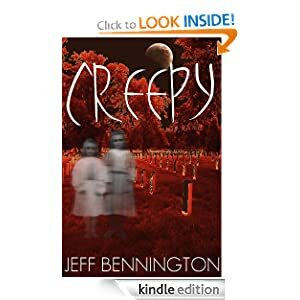 Creepy is a collection of true ghost stories AND short fiction that will send shivers down your spine! The true stories are actual supernatural events experienced by the author. 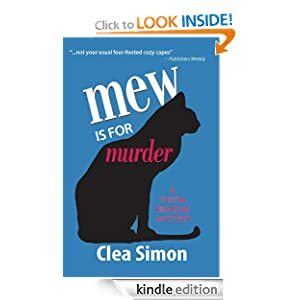 This book is perfect for a late night read or lunch-break entertainment. From the #1 bestselling author of Reunion and Twisted Vengeance.